Today, NVIDIA has announced its latest release using the Turing architecture with its Titan RTX. This follows the heels of the Quadro RTX that was announced in August. NVIDIA positions the card more for the prosumer than a consumer/gaming card but will still manage to be the fastest card that doesn’t use the Quadro naming (and a lot more expensive). The Titan RTX will cost $2499 and will be available later this month. If we take a look at the specifications, the Titan RTX looks like like a combination of RTX 2080 Ti, and RTX 6000 from the Quadro line. The new GPU is based on the TU102 GPU (same as 2080 Ti), but uses the full implementation of the silicon whereas the 2080 Ti is the cut down version. 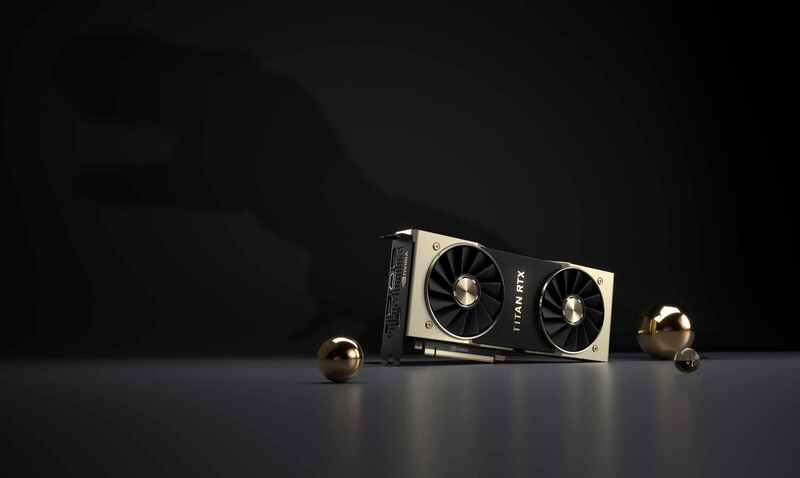 One of the major differences between the 2080 Ti and the Titan RTX (outside of its gold “make no mistake about it” color scheme) is the memory capacity, a whopping 24 GB, up from 11 GB on the 2080 Ti. The larger memory buffer will allow for much larger datasets for compute users and data scientists. For gamers, much of it would be left unused. The tensor cores are the meat and potatoes of these cards which rides its success from the AI and neural networking areas with the Geforce based cards having them, but limitations were put in place. In GF cards, using the FP16 mode, the Turing architecture is able to accumulate at FP32 for higher precision but is limited to half-speed throughput. That limitation is gone for the Titan RTX which is capable of FP32 accumulation throughput on its tensor cores. The new Titan RTX, or T-Rex as NVIDIA adoringly calls it, will be available sometime this month. I'm trying to imagine only getting a dozen or so.....wait, uh, I mean sharing one with 10 of my closest friends. NOt sure. I have reached out to NVIDIA, but, we don't really have the proper testing for it... It would just be games... which, this isn't really for gamers (but it can be used without worry as its on the Geforce driver stack). Oh man I’m laughing extra hard at all of the morons who claimed the 2080ti is as overpriced as it is because it replaced the Titan. I would be upset too if it was cheaper than the previous generation Titan (Titan V - $3K) and performed better (outside of Double Precision) than it. Though DP is just borked here, but as I am reading, it doesn't seem that much will utilize it in the prosumer space (some physics calcs etc...) and those that can, are likely enterprise and better served with Quadros and their support anyway. I hope AMD is able to step to the plate this round of GPUs, particularly in the high-end landscape. I currently can't justify purchasing a 2080Ti as there are no other comparisons from AMD and they are sure to be releasing new products with in the next year and with the benefit of already knowing what the competition has to bring to the table for probably the next 2+ years. 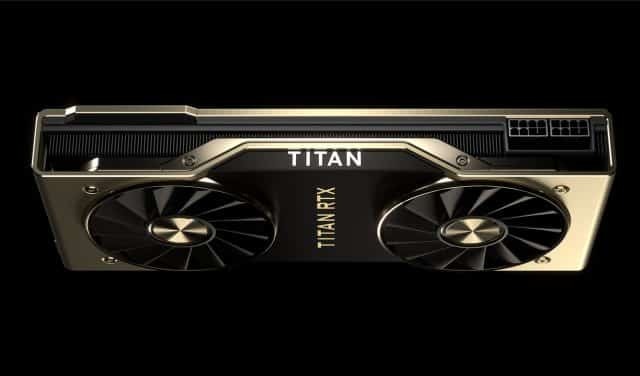 The RTX Titan's existence does make me laugh a little, as many claimed the 2080Ti's high price was due to it replacing the Titan series cards this round.